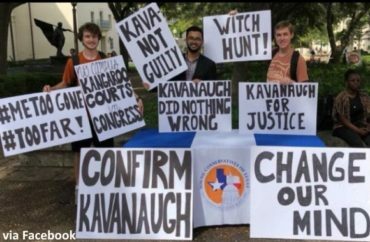 Earlier this week a mob of students, enraged by a pro-Brett Kavanaugh tabling effort at the University of Texas at Austin put together by its Young Conservatives of Texas chapter, encircled and yelled at its members while chanting obscenities. Several students were also filmed grabbing the young conservatives’ signs out of their hands and ripping them up. In the wake of that melee, campus authorities are reviewing the incident, UT Austin spokesman J.B. Bird told The College Fix. In one case, the anarchist group posted the number to the Chick-fil-A where one of the conservative students is employed. In another example, campus Dean Douglas Garrard, who tried to keep order and quell tempers, had his office location, cell number and email address published by the group. Anthony Dolcefino, vice chairman of the Young Conservatives of Texas UT chapter, said that’s not the first time his group has been doxxed. “They’re vicious — they’ve called us every name in the book by now,” he told The College Fix. Despite the outrage and doxxing attack the young conservatives faced, it appears their spirits and confidence remain high, and their plans to fight leftism on campus on track, according to a video of their post-demonstration meeting. “At the end of the day, we’ve let the campus descend into this level of far-left madness because conservatives have ignored it, but through actions like what we did today we embolden people to stand up for what they believe in,” said Saurabh Sharma, chairman of the Young Conservatives of Texas, during the meeting. 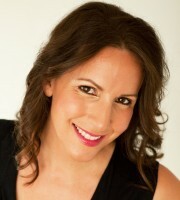 “This is the extent they are willing to go to,” he added. As for UT, Leonard Moore, vice president for diversity and community engagement, put out a statement in defense of free speech and student activism. He also encouraged students who feel unsupported to seek out to the many resources available on campus for help.